You surf the internet every single day and come across several Websites with varying designs and layouts. The fact of the matter is that – the difference between an outstanding site and a terrible site is the quality of its CSS development. 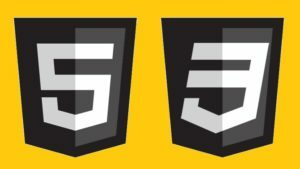 With little innovation and few techniques, you can build outstanding Website design using CSS coding skills – This course teaches you how to identify CSS on a Website, understand what goes behind the scene, and then be able to design and code like an expert! This course is perfect for complete beginners: there is absolutely no coding experience required. This course is also perfect for you if you know some HTML and CSS, but struggle to put together a good-looking website. Or maybe you’re a web designer and want to expand your skill set into HTML5 and CSS3? This course is perfect for you, too!